Triple 8 Ride - 8 hours riding. 8 hours drinking. 8 hours sleeping. 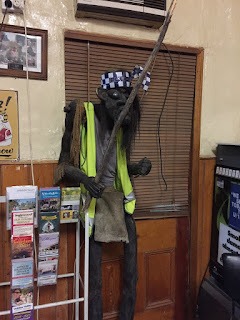 Every three months I try to organise an overnighter with mates to a country pub where we can stay the night and put a few $$ into the bar and enjoys ourselves. 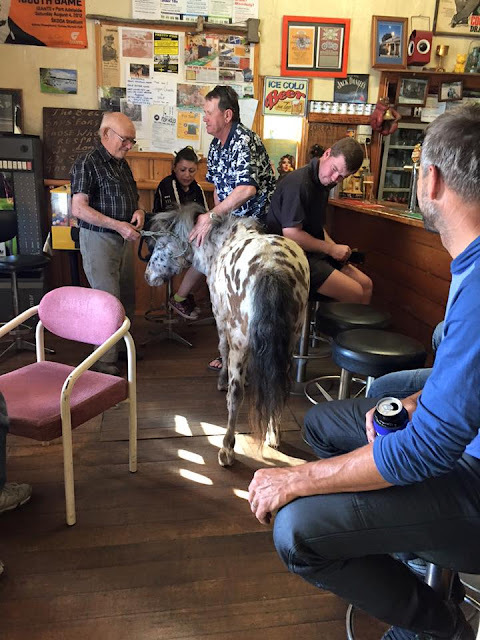 The destination was Logan where there's a pub that sits in the middle of nowhere with little mobile reception and I was told a horse which frequents the bar. 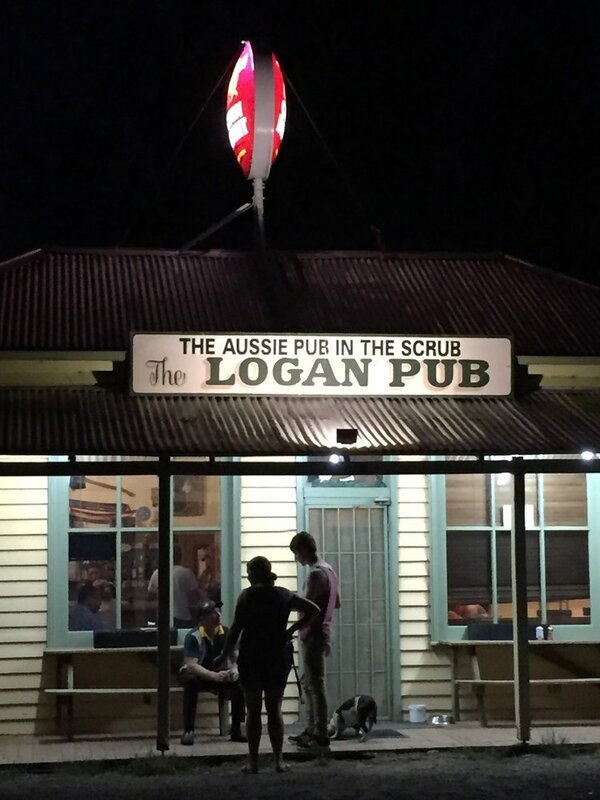 That was something I wanted to see for myself, so Logan it was, the pub in the scrub. Logan isn't that far out of Melbourne if you take the freeway, given I was on my CBR954 at the time with a fresh set of rubbers that just wasn't going to happen. 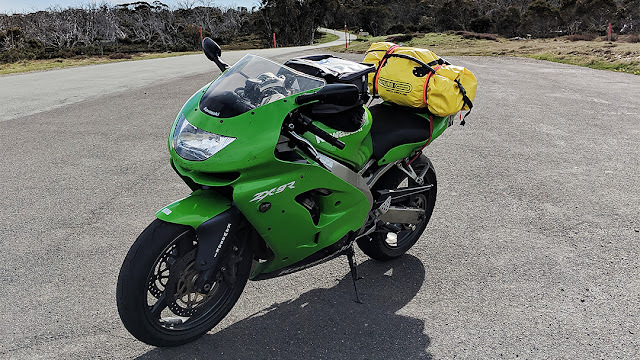 The road up through Diamond Creek, Kinglake and up Strathcreek onto Broadford was fantastic, with little traffic to hold us up we had a ball and stopped at the Moto Bean Cafe in Malmsbury with our licence's intact. 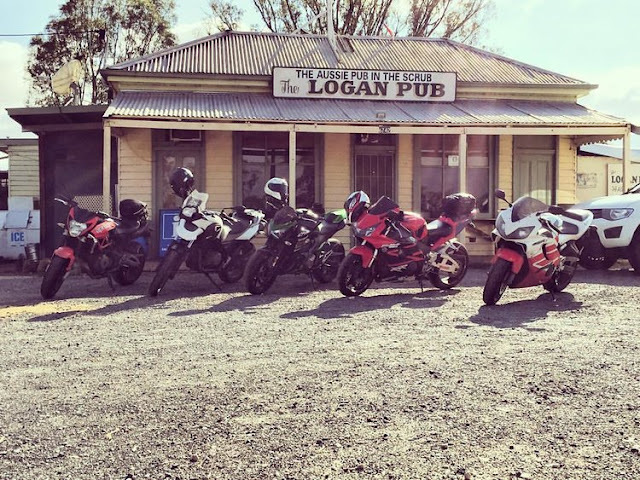 After a decent lunch and even better coffee, we headed off up through Irish Creek and before long we arrived at Logan where we were greeted by the publican who showed us where to park our bike and gave us the keys to our diggs for the night. 8 hours riding check. We booked out the accommodation block which is kinda like up-market Shearer's sheds. There's also the option to camp there too if you want to roll out the swag after a belly full of booze. After a day of riding the boys were thirsty so a quick change of clothes then made a b-line to the bar, where we found 5 ice cold beers lined up waiting for us. Good old country hospitality! 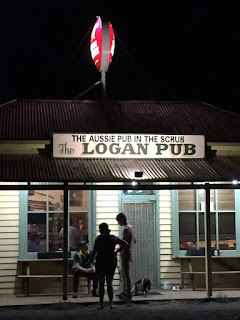 The Logan pub is a typical Aussie pub, lots of weird country memorabilia and as always plenty of people willing to have a friendly chat. 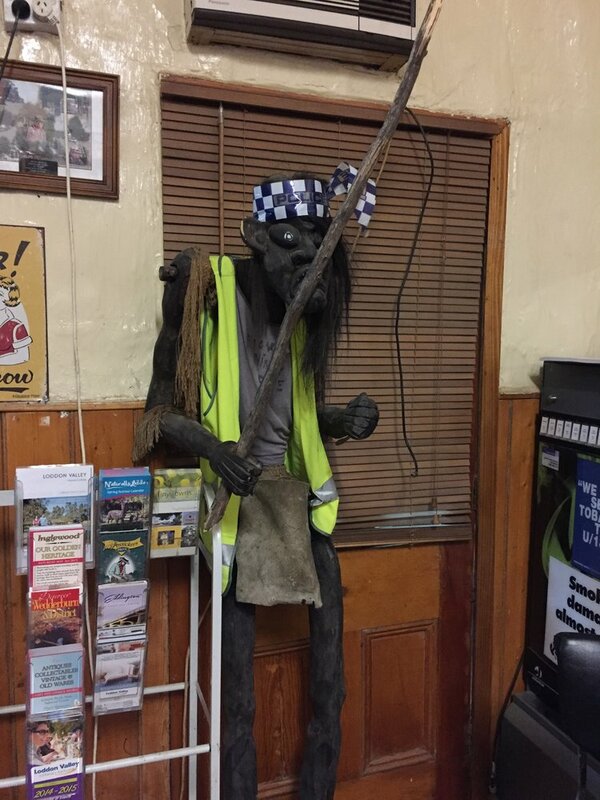 Old mate seems to like the attention and it's one of the things I like about exploring country pubs, you never know what's going to happen throughout the night. As customary on these trips, we all put in $100 each and give it to the barman to put in a jar and let us know when it runs out and we'll top it up. The drinks never stopped flowing. The food is your typical pub fare, I got the parmy and as usual and it did the job. I always judge a pub by its parmy and the Logan is up there as one of the better ones I've had. By nights end the shots were flowing and it was close to closing time, Keith the publican was kind enough to supply with a bottle of some sort of clear liquor to take with us, to this day we're not sure what it was but we all slept like a log afterwards. 8 hours drinking check. The next morning we were all feeling rather dusty (8 hours sleeping...check). Keith put on a decent breakfast and the amazing thing was it was included in the price of accommodation, $35. The breakfast alone would have cost us over $20 back in Melbourne. Another reason I love the country. Hangover's residing we decided to take a quick way home and slab it down the freeway back to Melbourne. 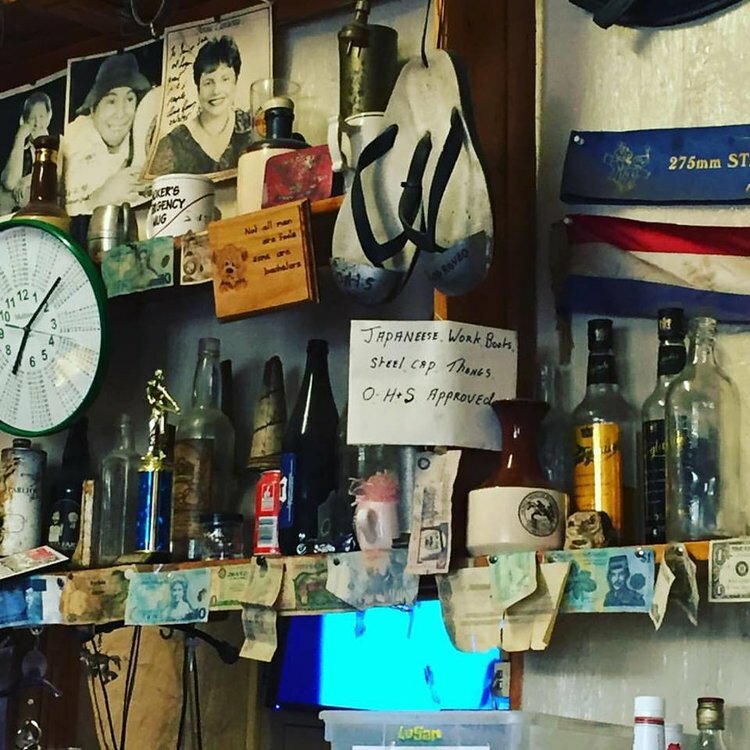 If you're ever looking for an old-fashioned Aussie pub to visit I can't recommend Logan highly enough. The publican's top notch, food's good and the beers cold. What more could you ask for from a pub?